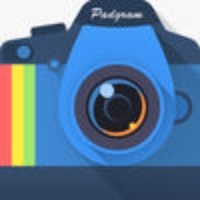 Padgram is a fast, versatile and easytouse Instagram App for iPad. It's the pro version. The wonderful and powerful feature Smart Download allows you to save at most 100 favorite photos and videos from Instagram at the same time at the background, without disturbing your surfing on Padgram. Apart from managing multiple Instagram accounts, Padgram allows you to browse photos by category (e.g. Girls) or on a Map view. You can also subscribe to interesting tags and comment on photos with over 500 Emoji symbols. Padgram supports both landscape and portrait mode, making everything look more brilliant! 1 Photo app in 10+ countries Top 10 Photo app in 50+ countries Here is what people says about Padgram "The fastest Instagram app for ipad out there! Beautiful too! Left Instapad for this!" by ryryjick "Simple and easy to share my instagram picture to other social networks, including pinterest." by Febihariadi "The swipe close makes browsing in and out of profiles fast and easy, and doesn't make you come full circle to get back to your original spot....like every other viewer out there." by EJ30 Explore interesting photos Browse popular photos and the photos you followed or liked Browse photos in categories Browse in a Map View, check out photos around the world Check where a photo was taken on Map Check a user's photos on Map, just like the Instagram's Photo Map feature. Search by tag or user name; contextual suggestions are given as you type View photos in full size. Swiping Mode is enabled when viewing photos in full size, allowing users to easily swipe from one photo to another Smart downloading photos and videos Save at most 100 favorite photos and videos from Instagram at the same time at the background, without disturbing your surfing on Padgram Manage the downloading progress at the well designed dashboard of Smart Download. Manage (such as view, share and delete) your downloaded photos and videos just like the official photo album. Support for multiple users Just switch to a different user easily, without having to enter a password again. Stay closely with important events / friends Hide a photo or a user's all photos to keep your feed less noisy Subscribe to a tag you are interested in Subscribe to a user, so as not to lose updates of your closest friends or favorite artists Protect your Instagram privacy Easily set passcode lock. Vivid liking and commenting 1tap or 2tap to like photos 1tap to tag a photo with a batch of popular tags Integrated Emoji keyboard with over 500 Emoji symbols Type any user's name in comments can immediately @ the user and start replying Tap on any comment to copy or delete it Extensive sharing options Share photos to Facebook, Twitter, Pinterest, Pocket, Evernote, Tumblr and Sina Weibo Send photos via Email or save to Camera Roll Check and promote profiles 1tap to check out a user's photos, following's and followedby info Follow or unfollow people Promote yourself or others with a beautiful collage, which is made of user's most liked photos Beautiful layout and blistering speed Support both landscape and portrait mode, just place your iPad in any orientation Optimized for Retina display Stacked layout makes it easy to return to where you were Named "the fastest Instagram iPad app" by users This is the pro version of Padgram. And all premium features of free version are available. Unfortunately the Instagram doesn't support photo upload. However, we have a quick link to launch the official Instagram iPhone app to take or upload photos. We keep improving it. Since we cannot reply to you within the App Store, you can reach us at http//www.facebook.com/padgram and we respond to all messages promptly. NOTE This product uses the Instagram but is not endorsed or certified by Instagram. Check these links to find your download for Padgram Pro for & iOS or for your device iPad. The app Padgram Pro is compatible with te following devices.